The 404 Kitchen and Hotel located in the Gulch District, a newly developed urban neighborhood of high rise condos and larger than life restaurants, stands out because it’s the smallest venue down there. In fact, the restaurant only seats 40 people, and is adjacent to an even cozier hotel which has five rooms (opening soon). There are many advantages to a small restaurant. It’s easy to feel at home, have long conversations with the staff and enjoy some of the character of small. For example, wine is housed in cabinets in the restrooms. At first, this seemed odd; then it sparked conversation and made me rethink space and restaurant venues altogether. How could I not, when a few blocks away is the new restaurant large enough to host a bowling alley. Perhaps if the space was not so small, I wouldn’t have been able to find out there is a history to the very popular cocktail, Nearest Green, which is a single barrel bourbon drink with a lot of bacon in it. It’s named after the slave who never got the credit for teaching Jack Daniels how to make whiskey. Single barrel whiskey with apple brandy is good enough on its own, but add in Benton’s bacon, apple brandy and citrus infused honey, and you will be hooked, in the same way it’s hard to stop eating potato chips. 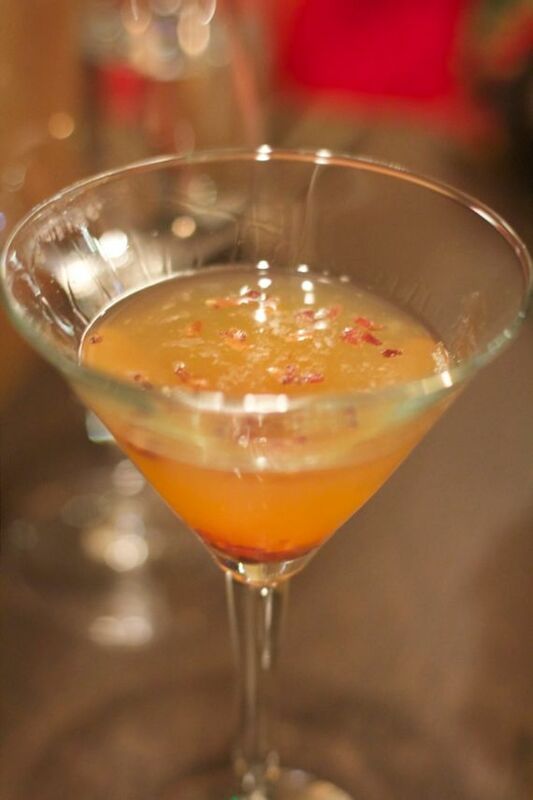 It’s simply a great drink, and was worthy of a mention in Forbes Magazine. The advantage of small is the ability to experiment and maintain intense quality control, which showed in every bite of each dish we ordered. As someone who loves to cook, I get my inspiration from dining out. I’m always looking for that one dish that inspires me to go home and figure it out. 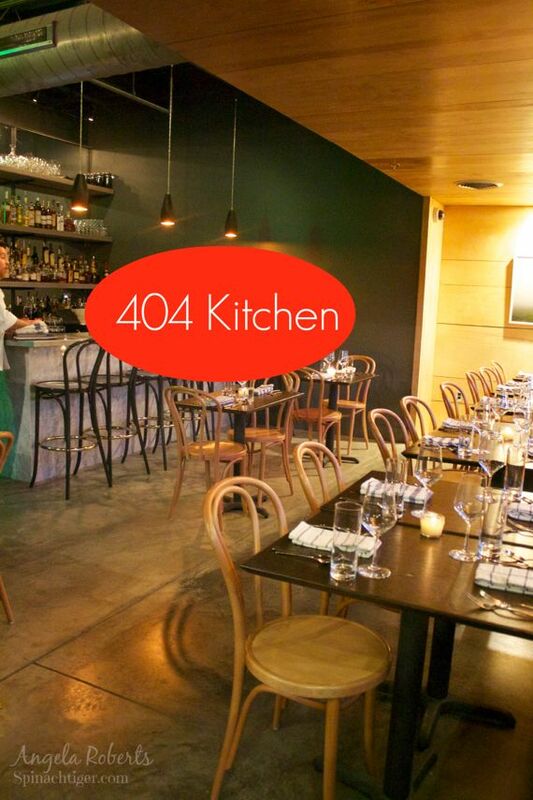 At the 404 Kitchen, it’s the Pumpkin Risotto made with Blue Hubbard, Herbs, and Grana Padano. We ordered the Pumpkin Risotto as a shared starter. There is no picture because I couldn’t do it justice. I hope they never take risotto off the menu because it’s the best I’ve eaten in Nashville. I talked to Chef Bolus about the risotto, because I noticed there was no wine, yet it was perfectly balanced with the creamy rice, pumpkin, onions. To my surprise, he does add a splash of apple cider vinegar (for that acidity) and while it couldn’t be detected, it was that bit of acid that risotto needs to not be a bland Italian rice dish. 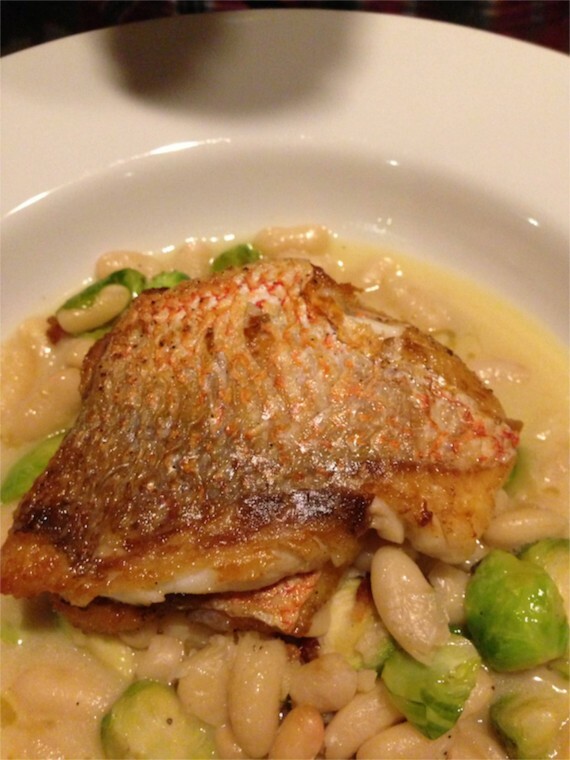 The Red Snapper sat upon white cannelini beans, and brussels sprouts. The fish was perfectly prepared, crispy skinned, tender, and in harmony with the beans and brussels sprouts, finished with lemon agrumato, which is an olive oil that is made with lemon crushed right in with the olives during the process to elicit a lemony olive oil that cannot be duplicated by merely infusing olive with lemon after the processing. This is rustic cooking at its finest, because while this is a simple, approachable dish, it’s not exactly the kind of dish easily prepared in a home kitchen without lots of practice and the ability to edit flavors. We had to order the buttery fingerling potatoes, with plugra, parsley and black pepper. Even though we had risotto and bread, we allowed another starch because they looked too good to pass up. I’ve buttered my potatoes at home, but they don’t taste like this, and it’s yet another example of turning simple food into a culinary experience. This is the second inspirational dish I want to make at home. The Bear Creek Farms dry-aged tri-tip steak, was a good sized portion, tender, tasty, and lean. It went best with the potatoes, so I didn’t bother with the side of farro, and butternut squash. However, Mr. ST ate it all for me. This dish might appear to be rather simple, but like every dish in the place, it’s executed well, this with a sauce made from saba, an ancient Italian condiment made from grapes and similar to aged balsamic vinegar but sweeter, complementing the lean cut of meat, which was cooked a perfect medium rare. 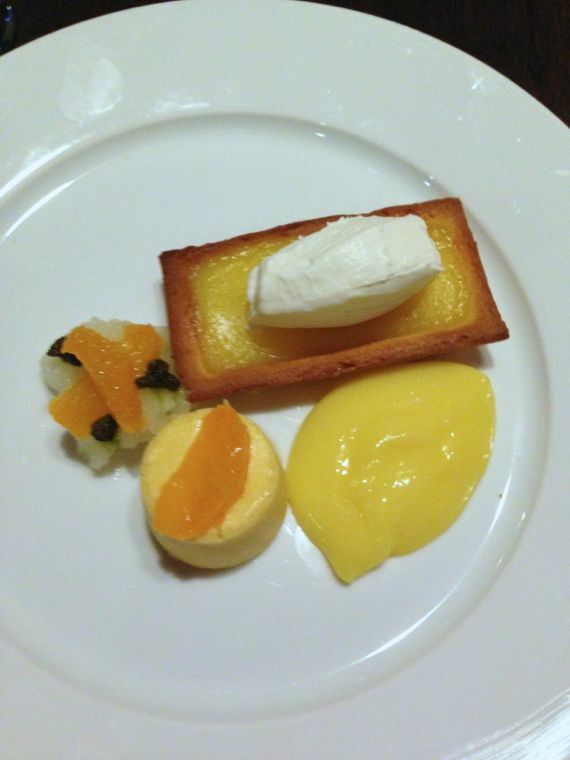 I’m not a huge dessert eater, but when I heard there was meyer lemon, I jumped to order a flight of citrus. Chef Bolus comes to the 404 Kitchen with some well earned stripes while cooking at Flyte, Watermark, and Charleston’s Fig. 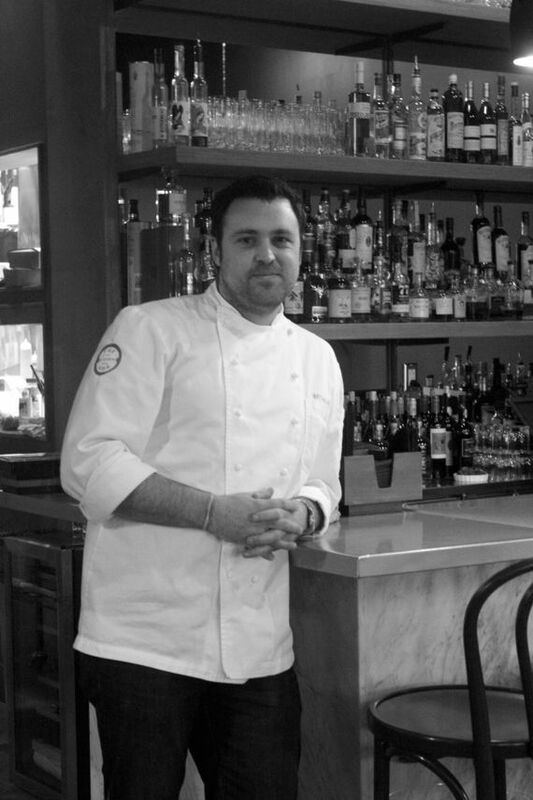 He may find himself in a smaller kitchen, but he has more freedom to play around, and certainly more freedom to make a commitment to mostly locally procured ingredients. That is commitment to a menu that aims to source locally. It takes guts to do this and in our conversation, he talked about what the over used term farm to table means. One could be eating lettuce shipped in from a farm in California and that’s still farm to table, so when a restaurant makes this claim, it may not mean what people think it does. 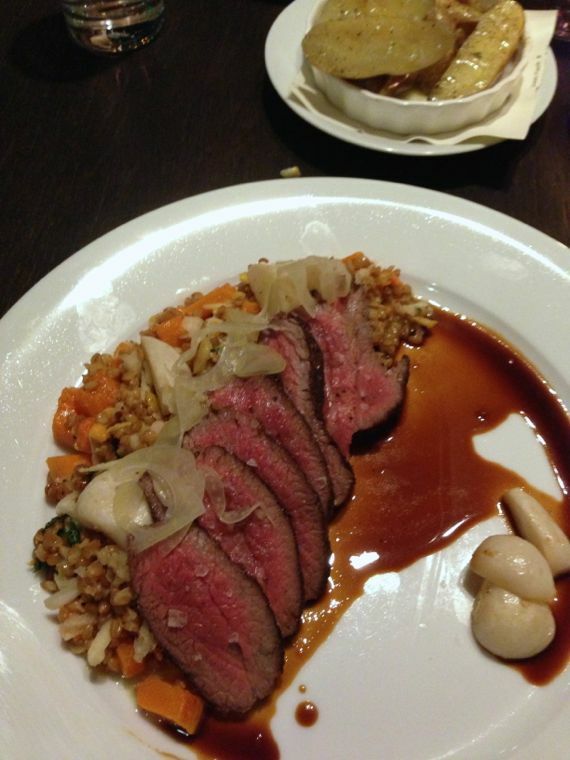 It’s a different story when featuring local farms, local produce, local meat. Chef Bolus says he loves cooking in Nashville, because there is access to so much good local food and he is committed to it. This might be why there was lots of squash, and root vegetables on the menu along with the expected pork and Bear Creek beef. The fish, of course, must be flown in, as they are a land-locked city, but it will probably be caught the day it’s flown. Each dish is very well-thought out to bring the freshest, best tasting dish to the plate that is possible, even in December. The nice surprising part of our discussion was his appreciation for peasant Italian food. Instead of salad there are amazing starters, such crudo and hand-made burrata. Although the regions of Italy sport very different culinary flavors, the viewpoint is always the same. Each town cooks what is available to that terrain and climate and they make it taste better than any other similar infrastructure in the world. Chef Bolus understands that it’s not about fancy ingredients; it’s about great ingredients cooked well, balanced in flavor. Food doesn’t have to be Italian to have an Italian viewpoint. One might not care for beans with fish, until you see how the textures and flavors work together in a way that only an innovative chef would prepare it, while still remaining straight forward and approachable. The room has an urban atmosphere, simple, with concrete floors, and lots of wood, which warms it up. Tables are close together like a small Manhattan restaurant, cozy, and probably not uncommon to strike up a conversation with the guests sitting next to you. 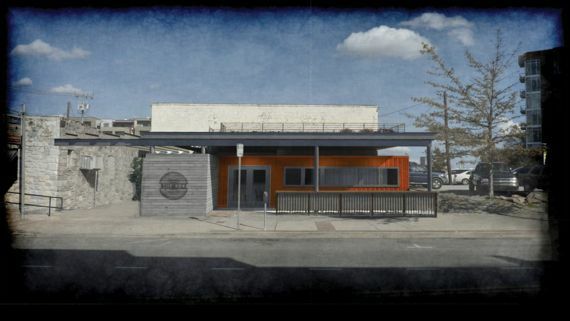 You can also eat at the bar, which does not require a reservation, but expect it to fill up quickly on the weekends. When I was there, the patio was an open air with heaters, but they were in the process of enclosing the space, but still keeping it as a patio, so it could be used year round. Those seats would be great for people watching. Service could be a tad more attentive, but I’ll keep in mind the 404 Kitchen had only been open for five weeks, and it takes time for a restaurant to get into it’s full zone. There are five rooms, a queen, and four kings with lofts, perfect for meetings or to host an extra guest. The rooms will have 21 feet ceilings with original beams, clerestory windows, and spiral staircases to the lofts. The bathrooms have walk in showers, custom made built ins with Malin & Goetz products and towels from a local company, Turkish T.
Each room will feature local art, including photography by Caroline Allison. The hotel will have a devoted concierge with an extensive knowledge of the city and region, but guests will experience “invisible service” a key feature which basically means they will leave you alone to check in and get around unless you need something specific. The 404 Kitchen and Hotel in Nashville, while small, has a great story and a fierce devotion to true farm to table and local flavors. In simple terms, the food is uncomplicated, yet utterly arranged with just that right amount of salt, acid and fat. How that arrangement is orchestrated is where the talent comes to play. The dishes I’m still aching to try include the cauliflower starter, the radish side, the cioppino and the charlotte dessert. I’ll stick with my same drink, the Nearest Green, because I still can’t stop thinking about it. 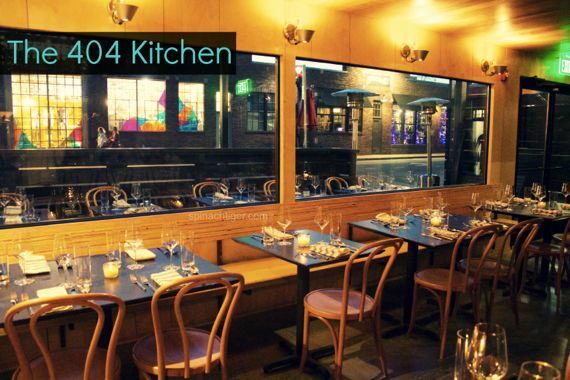 I will return to the 404 Kitchen probably in the Spring to see what Chef Bolus does to bring us into that season. I’m looking forward to more Italian notes from his kitchen. This is one on the top of my list. Nick and Caroline, husband and wife couple, are long time friends…with Nick’s incredible eye for architecture and Caroline’s ability behind the lens this hotel and restaurant is sure to be booked for years in advance! Angela, great post! That red snapper dish looks very tasty. Thanks for sharing.